Spice is a strong- or sweet-smelling vegetable substance used to give flavor to food. Pumpkin spice is usually a combination of ginger, cinnamon, cloves and nutmeg. Which spices do you use in chili? Dev's mom spices the chicken with turmeric and cumin. Professor Jones spiced up his lecture with stories of his adventures. Do you know the difference between spices and herbs? 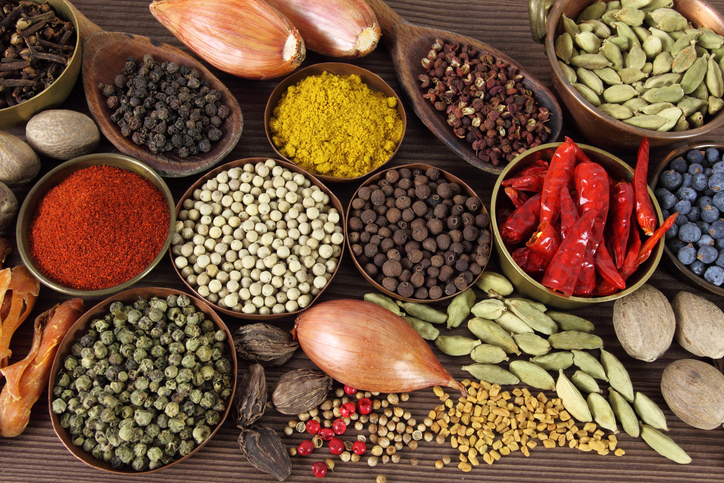 Spices are the seeds, bark and roots of plants, while herbs are the leaves. Cinnamon, ginger, turmeric and cumin are spices. Oregano, cilantro, dill and thyme are herbs. There are other meanings of spice.